Crook County's talented performers are invited to join the circus. Yes. That's right. 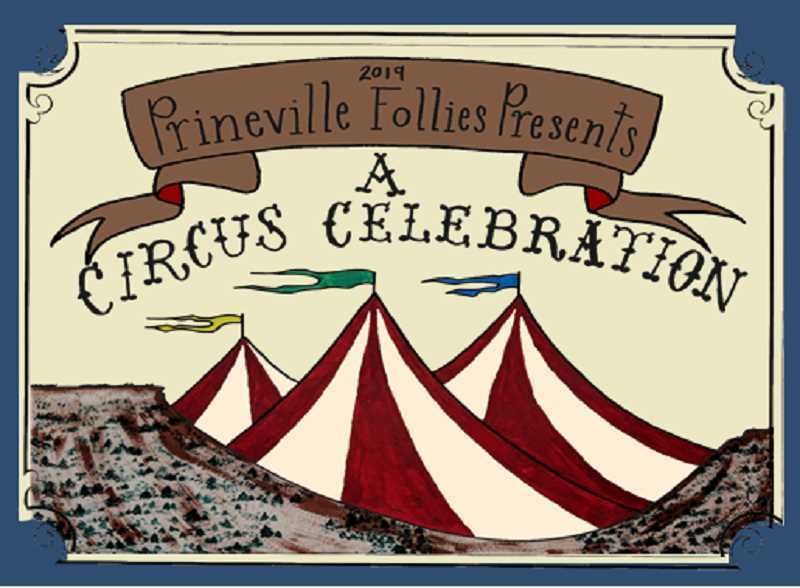 The circus is coming to Prineville, and they need a variety of acts to perform. Auditions for the Prineville Follies annual variety show are set for Tuesday, Jan. 22 and Thursday, Jan. 24. Auditions begin at 6 p.m. each evening at the Crook County High School auditorium. Potential circus performers must first schedule their auditions with ringmaster Renee Moss. "The purpose of the Follies is to raise scholarship money for music and theater kids," explained Prineville Music and Theater Boosters Board Secretary Lorrie Harnden. The boosters put on the talent show each winter in order to showcase those in the community who can sing, dance and act but also to raise money to promote music and theater in Prineville. Follies performances are set for Friday and Saturday evenings, March 8 and 9 in the CCHS auditorium. This year, the theme is "Under the Rimrock Bigtop" — a vintage circus theme. "I think everybody was just so excited about the fervor that 'The Greatest Showman' had," Moss said about the 2017 movie that celebrates early show business. "It was kind of a fun take on a variety show." Living up to the variety show element of the Follies, organizers invite one and all to try out for one of the two dozen spots in the limelight. Those auditioning must perform the act that they would like to perform during the Follies. They encourage individual singers and groups to audition as well as musicians, dancers, actors, jugglers and anyone who thinks they may be able to wow the audiences. "We are limited as far as our time," Moss said of how many acts they will have in the performances. "We're trying to get as many diverse acts as possible, as well as quality acts." They've been known to allow those who didn't make the cut to perform in a preshow in the foyer and in the commons area. Harnden said it's always fun to come up with a new theme each year. In order to make the auditorium have the illusion of a vintage circus tent, they will have tulle streaming down from the ceiling. "We also have a set of puppets that are being handmade in an old-timey way, and the puppets will be giving commentary on the different acts that come through," Harnden said. While some people may choose to go with the circus theme for their performance, Moss said that is not required. "We are not trying to create 'The Greatest Showman,' so if they're going to come with a whole bunch of numbers from that, they might not make it in," Moss laughs. The boosters are busy collecting donations for the silent and live auctions that will also take place during the Follies. They're also selling digital advertisements to businesses. The $50 ads will run before the performances each night of the Follies as well as before any high school drama, band or choir event throughout the year. "If they would like to donate an item to the silent auction, we lower that to $35," Moss said of the ads. "It's really a great deal, and you're getting in front of a lot of people." Proceeds provide scholarships to local music and theater students and also help fund trips and the purchase of equipment. Booster members say there are many reasons for performers to audition for the Follies. "It's excellent exposure to the community. It's excellent practice in your art form. It is serving our community in such a significant way, providing scholarships for these young people that are so passionate and talented and gifted in what they do," Harnden said. "We want to encourage as many young people as we can." Place: CCHS auditorium, 1100 SE Lynn Blvd. To schedule an audition, call Renee Moss, 541-447-6024.